The term wine cellar usually brings to mind a softly lit, cavernous space with floor to ceiling shelves of bottles, like a subterranean library of liquid. The personal wine cellar is a bit more conceptual. You don’t necessarily need a dedicated room or tonnes of cash to have a cellar. It might be under the stairs, a small wine fridge or just a cool space in the garage. It could even be wines stored at a specialty cellaring service. At any rate, the concept of a cellar is that you are storing some wines to develop and drink somewhere down the line. 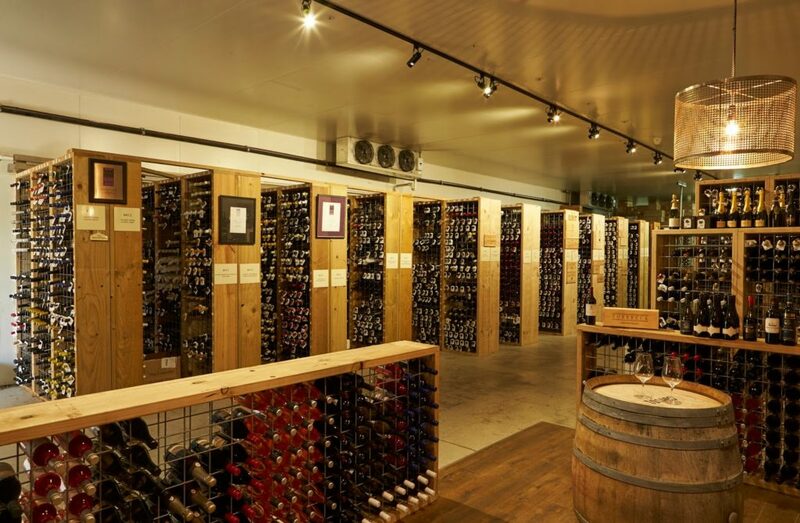 The Royal Mail Cellar in Dunkeld, VIC is among the largest private cellars in the world. The majority of wine is consumed within 24 hours of purchase; so don’t feel bad if you tend to only buy a bottle when you need it. The idea of a cellar is to put away some wines that are either special to you or will develop interesting flavours over time. The following are suggestions for how to build up a small collection and what kinds of wine will work best when being put away. For more read What’s the Point in Bottle-Ageing Wine? Next time you go to buy your favourite bottle, get a second one to put away, or see if there are discounts for purchasing six or more. It’s always good to have that solid favourite on hand, and great to see how they develop. Popular wines like Marlborough Sauvignon Blanc are generally better fresh and drunk young, but there’s value in comparing vintages. If you have a favourite winery, see if they have some back vintages to get you started. Riesling can be long-lived and develop interesting secondary flavours while remaining fresh and refreshing wines. Arguably a Clare Valley Riesling will develop in similarly interesting ways to French or German Rieslings, but at a much smaller cost. A great exercise is buying a case of under $20 Australian Riesling and tasting a bottle every year or so to see how the wine develops. Learn about Riesling Wine and Food Pairing. 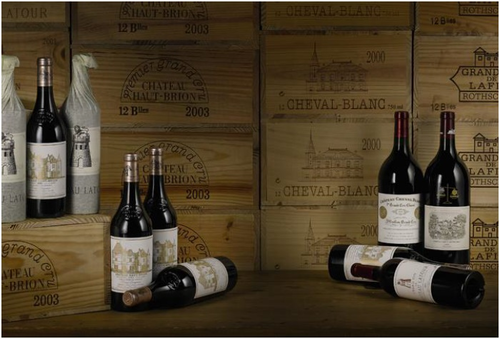 Traditional wine cellars around the world hold Chianti Classico, First Growth Bordeaux and Gran Riserva Rioja. These wines are renowned for ageing gracefully, but the same can be true for the lower-level wines of these regions or your local equivalent. If your budget doesn’t run to Chateau Margaux, its likely a fifth growth or even Bordeaux Superior will prove a good option. Similarly, New World big reds like Californian cabernet, Argentinian Malbec or Shiraz from South Australia love to be set down for a few years. Pinot isn’t known for long-term cellaring but can really reward ageing in the short term. If you want to stock up on Burgundy, by all means but you may find your budget runs out quite quickly. The Pinot Noir from Victoria is definitely world class, and often reaches its peak within 5-10 years, although some can go for 30 or more. 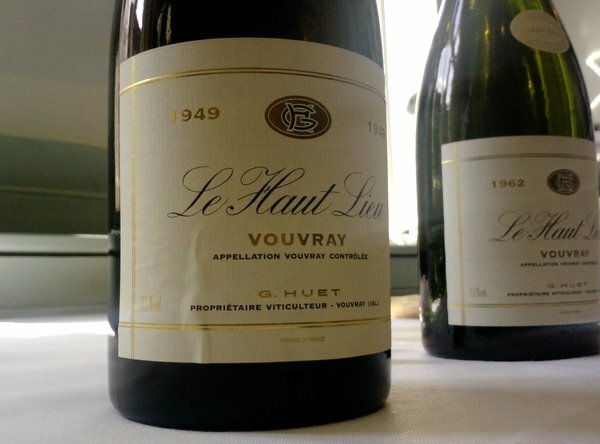 After Sancerre and Pouilly Fumé, the Chenin Blanc wines of Vouvray are the most famous output of the Loire Valley. Made in a range of styles, the medium-sweet Moelleux styles have the sugar, acid and body to age for decades. These wines appear less sweet over time as they integrate and produce flavours of honey, marmalade and nut flavours. The structure of Nebbiolo makes it perfect for ageing, with acid and tannin giving a great base for the range of fruit, herb and savoury flavours. Barolo is a great way to go, as it is Italy’s, if not the world’s greatest example of Nebbiolo. Barbaresco and other Piemonte wines will also do well, as well as a few Australian examples. Read about Nebbiolo in Australia. A Rutherglen Muscat, Port or Madeira is handy to have in the cellar, especially if they are vintage indicated. It’s always fun to surprise a friend or family member with something from their birth year. These fortified wines are all long lived and taste great sometimes up to 100 years later! Learn more about fortifieds in our article What are Fortified Wines? Whatever you end up choosing to store for later rather than drinking immediately, remember to keep them at a consistent cool temperature and away from direct sunlight. Your cellar may not start huge, but you’ll know there’s a special bottle waiting for you for the right occasion.